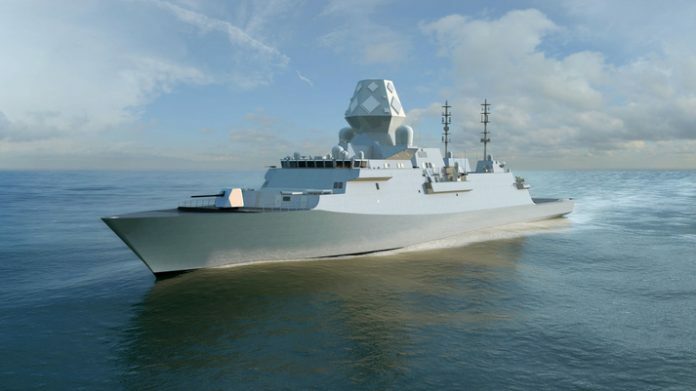 BAE Systems has announced that it has signed an agreement with the Australian Government regarding the update of its Type 26 Global Combat Ship, as part of the Australian naval force’s SEA 5000 Future Frigate program. According to the official announcement, the company will send its Australia-based engineer team in the UK where they will collaborate with their UK counterparts on the new design for the combat ship. Further, BAE revealed that a 3-dimensional visualisation suite will be delivered to Australia to help improve understanding of the unique features of the ship design. “We look forward to demonstrating the adaptability and maturity of the Global Combat Ship design to meet Australia’s requirements for an Anti-Submarine Warship frigate,“ said BAE Systems Australia Chief Executive, Glynn Phillips. Fincantieri and Navantia have also signed similar agreements to participate in the Competitive Evaluation Process for the Future Frigates Programme – SEA 5000. “We are fully committed to this programme, which represents one of the most important naval surface shipbuilding projects in the world. This is the first ever contract signed by Fincantieri with the Australian Department of Defence and we are very excited by the opportunity to participate in the evaluation process and to propose the very best of the Italian shipbuilding design and construction,” said Giuseppe Bono, CEO of Fincantieri. Navantia dubbed its participation in the program as a significant milestone for the future of the company in Australia. “This program has the potential to allow for the development of Navantia Australia’s local capabilities and its Operations and Design Centre, which will actively participate in this design phase,” Navantia said in a press release.